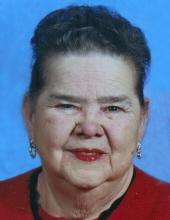 Age 80 of Owosso passed away Saturday, October 27, 2018 at her home. Funeral Services will be held 11:00 am Tuesday, October 30, 2018 at Nelson-House Funeral Home with Pastor Marlene Webster officiating. Burial will follow at Hillcrest Memorial Gardens. The family will receive friends at the funeral home on Monday from 3:00 pm to 8:00 pm. Linda was born January 22, 1938 in Puxico, Missouri; the daughter of Len and Ruth (Burdine) Crenshaw. She attended Mt. Pleasant Schools. Linda married Ben Shrum in Bloomfield, Missouri. Linda's passion in life was her family. She was known to "whip her family into shape" and enjoyed getting everyone together. Linda liked playing cards, bingo and trips to the casino. Linda is survived by her children Caron (Roger) Sutliff, Jerry Shrum and Dan Shrum; grandchildren Allen (Stephanie) Shrum, Darrell (Rebekah) Sutliff, Edward Shrum, Jimmy (Jalissa) Sutliff, Aaron (Tracy) Shrum, Daniel (Heather) Shrum, Linda (Chris) Taphouse, Jeanne (Joey) Pahl, Allena Shrum, Cherokee Shrum, and Claudia Shrum; several great-grandchildren and many other loving family and friends. She was predeceased by her husband Ben; her son Allen Shrum; her granddaughter LaTosha Shrum; her parents; and her brother Darrell Crenshaw. To send flowers or a remembrance gift to the family of Linda Ruth Shrum, please visit our Tribute Store. "Email Address" would like to share the life celebration of Linda Ruth Shrum. Click on the "link" to go to share a favorite memory or leave a condolence message for the family.